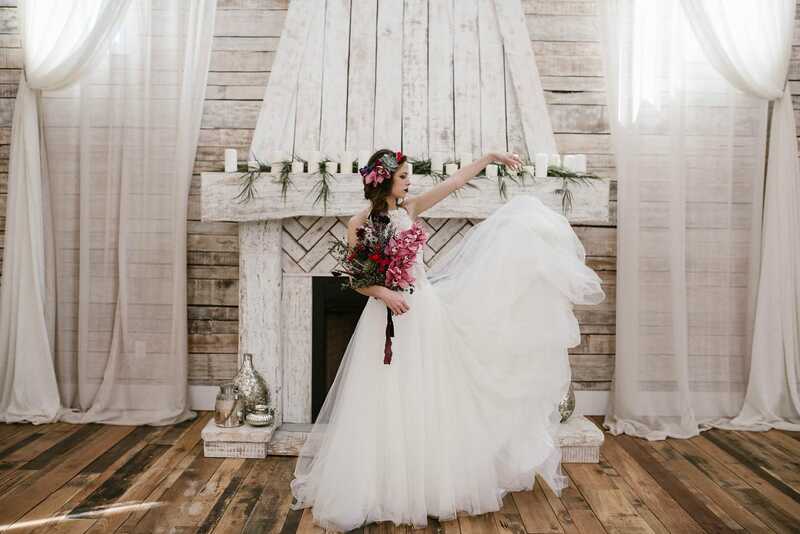 Love the idea of a princess wedding dress, but you’d rather not look like a cupcake? 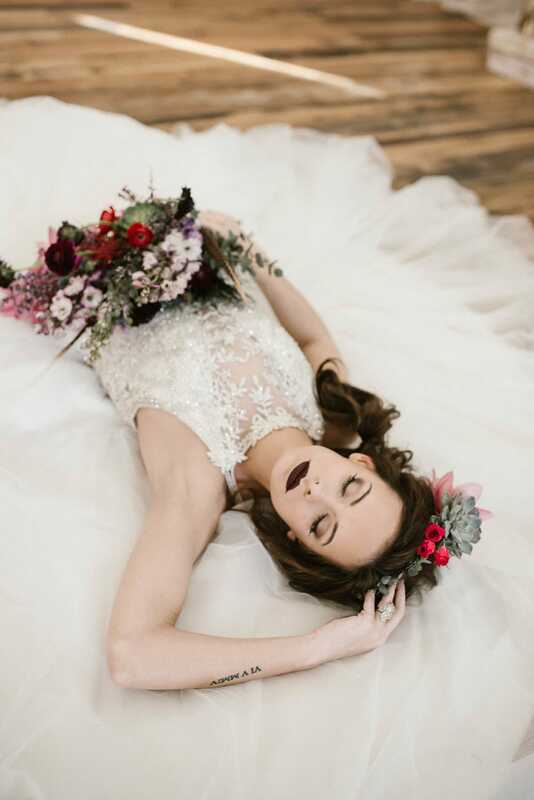 Cue Lisette by Maggie Sottero, featuring a breathtaking bodice of beaded lace motifs, with an illusion halter over plunging neckline for a fresh take on the “fairytale wedding” vibe. 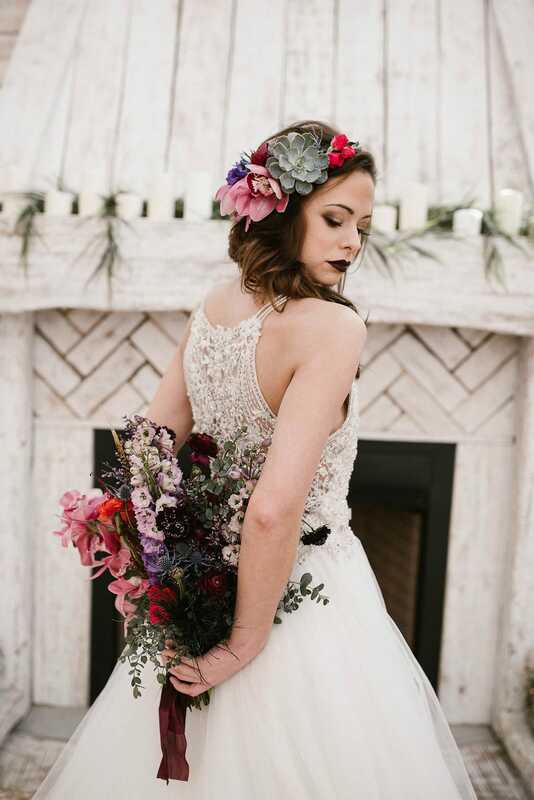 This chic ballgown is available (with a short delivery date!) 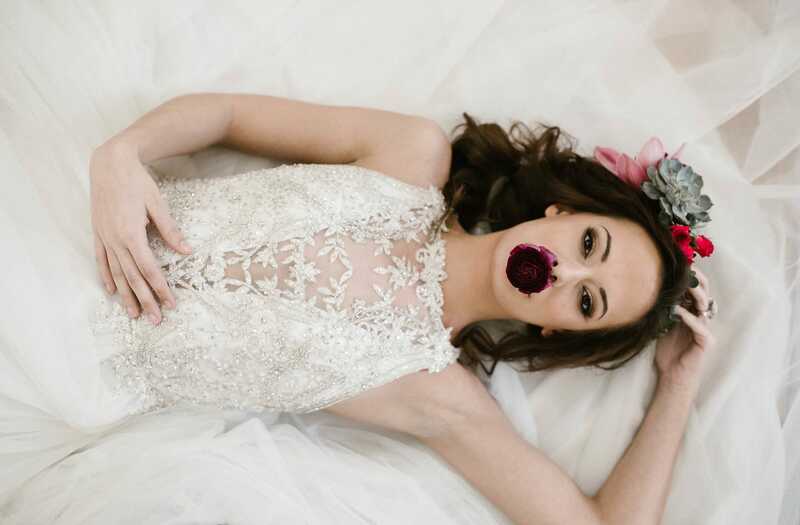 at an Authorized Retailer near you. 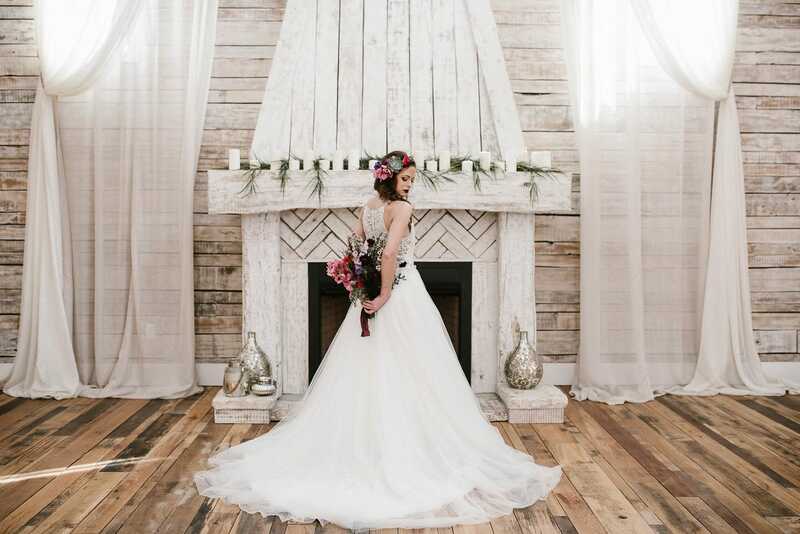 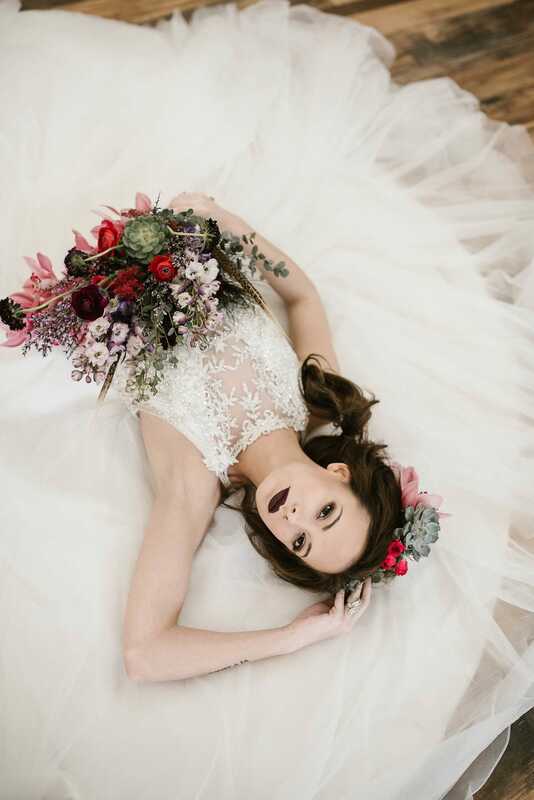 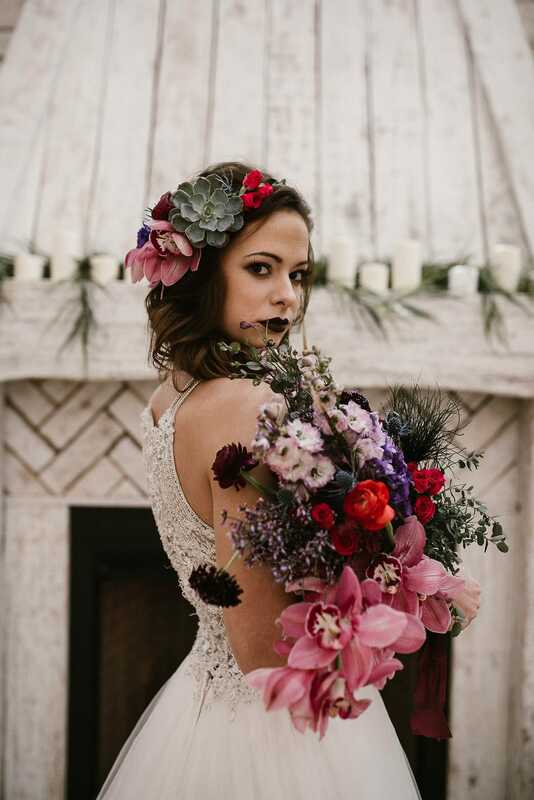 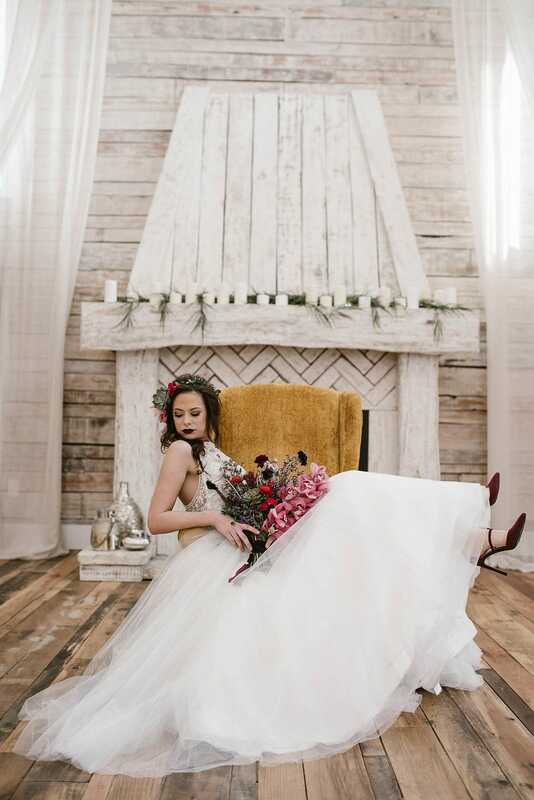 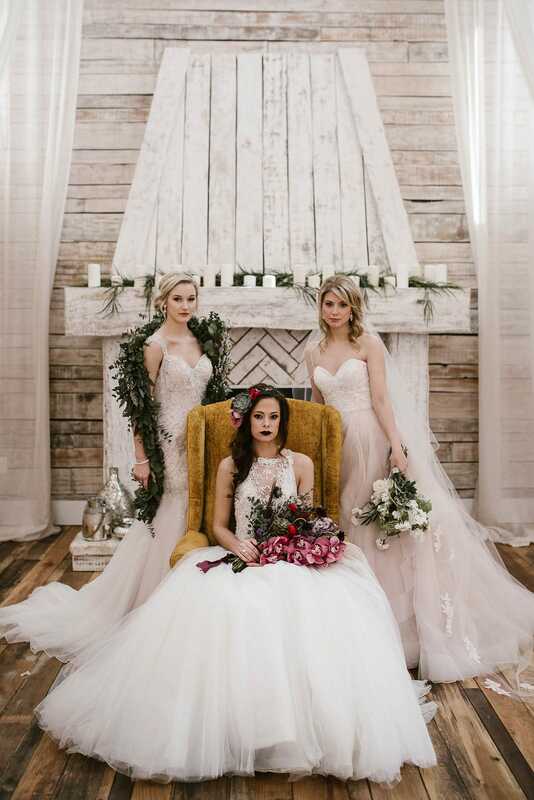 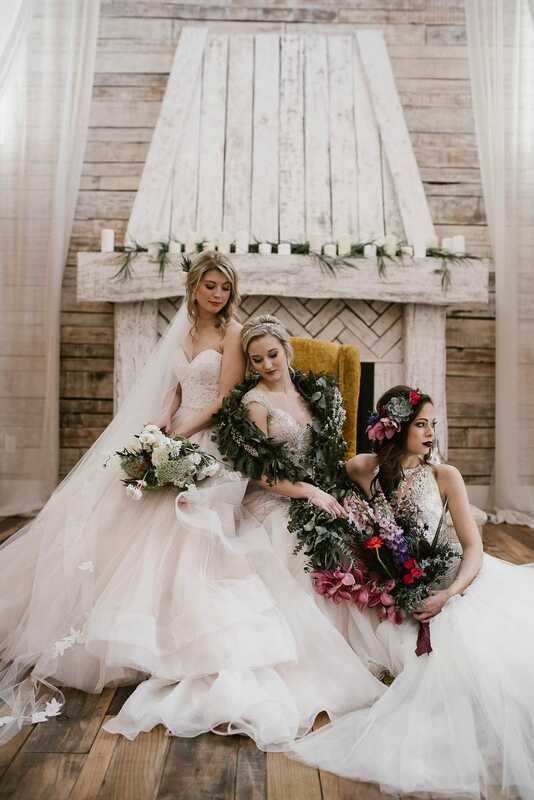 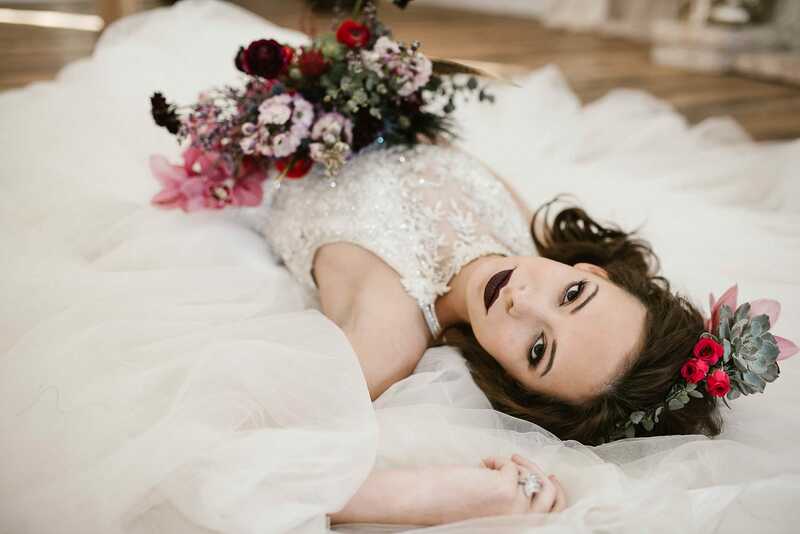 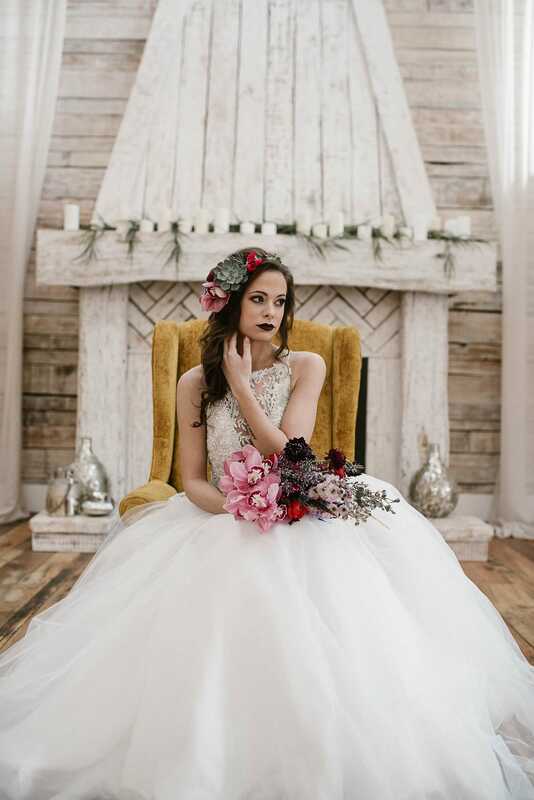 This gorgeous styled shoot was shot by Finding Eden Photo.